I mostly draw ponies. 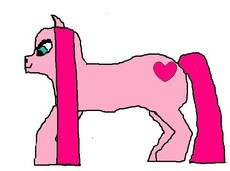 (they look like or are ponies from My Little Pony) I love drawing ponies. Your welcome and how are you?